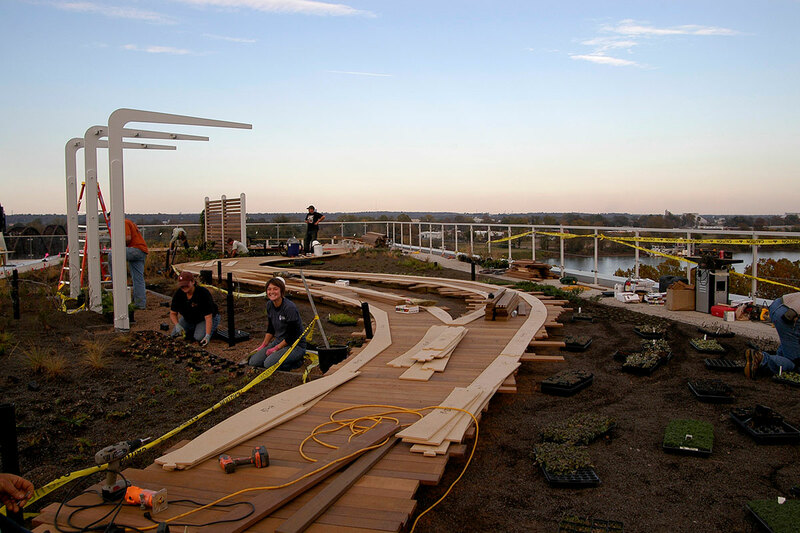 Living Habitats was selected from a field of distinguished competitors by the Clinton Foundation and the National Archives and Records Administration to design a 10,000 square foot green roof as a retrofit for the William Jefferson Clinton Presidential Center. 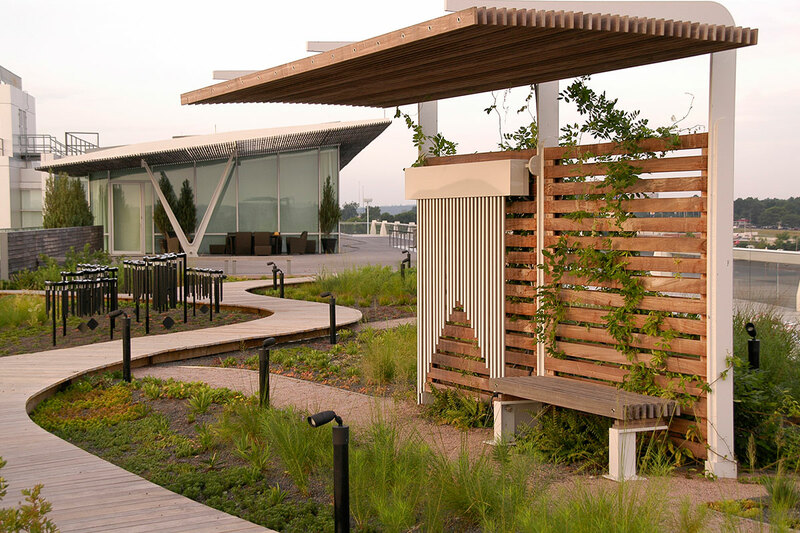 The Living Habitats design serves to animate and make accessible an incredible asset; the roof of the Center affords visitors sweeping views of Little Rock while serving a vital function of stormwater retention. 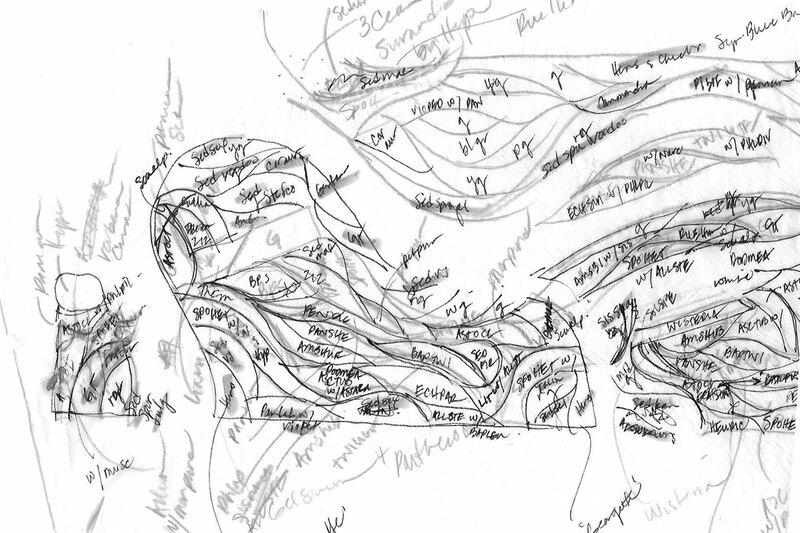 As a retrofit project, material selection required a mindfulness of the existing architectural detailing. We worked diligently to reinforce and evolve details that enhance, not detract, from the elegant lines created by the building architects. 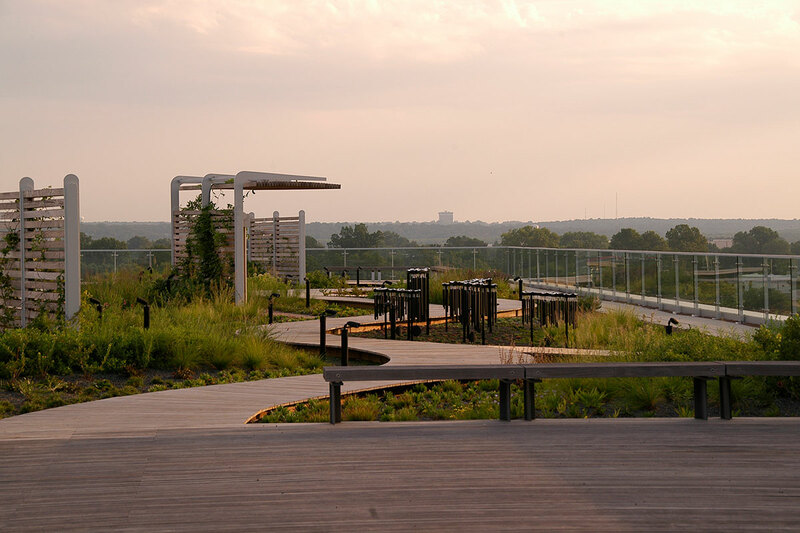 The southern portion of the roof features a private recreational yard for the President bordered with perennials that hold special meaning to him. 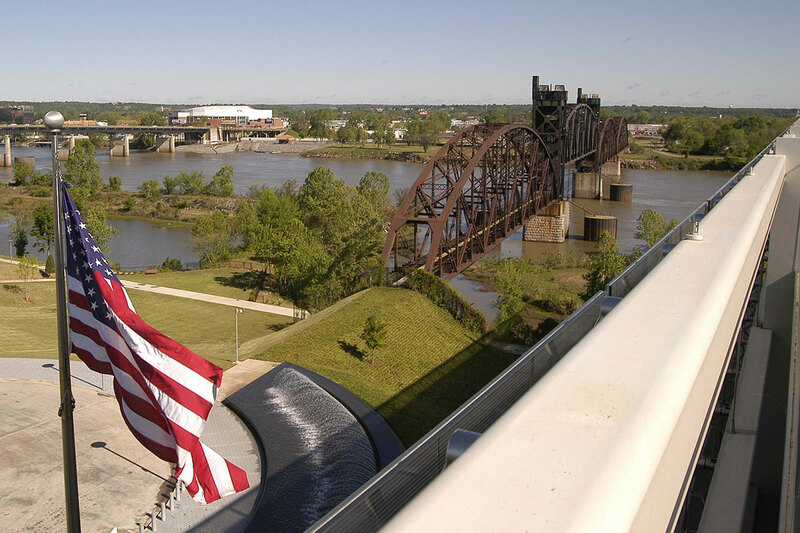 The space to the north is organized around a graceful curving boardwalk inspired by the Arkansas River below, shade structures for escaping the brutal Little Rock summer sun, and integrated musical elements. 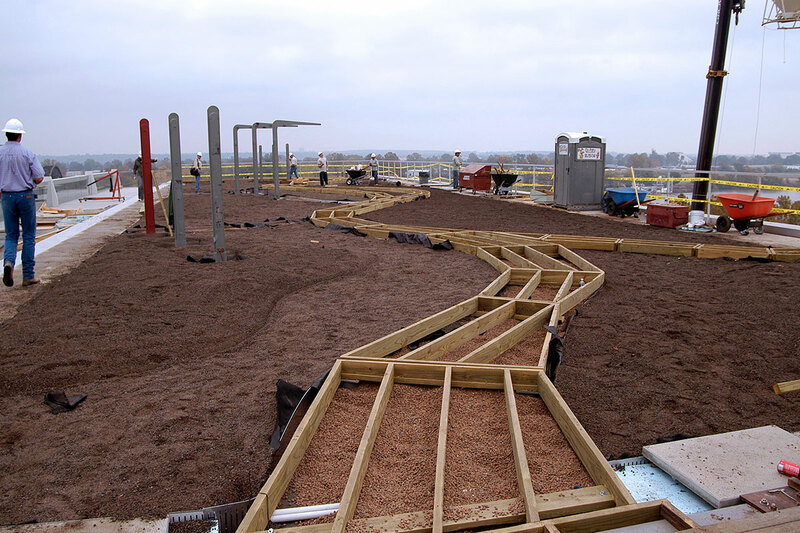 Simple and crisp, the lines of the meandering boardwalk mingle with a playful mixture of extensive and semi-intensive rooftop plants comprised of both native and non-native flora that attract beneficial wildlife. 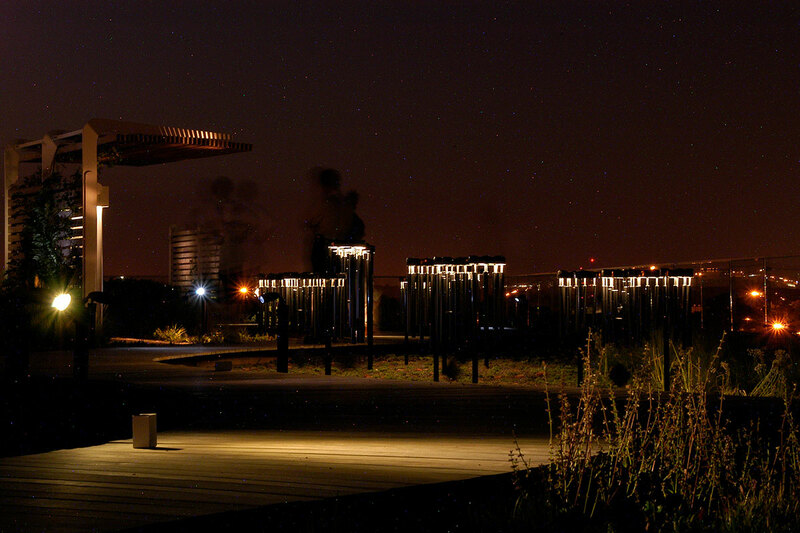 The wind chimes, as a passive musical element that also incorporated lighting, are complimented by a solar powered pipe organ adding to the festive nature of the space. Subtle and graceful, the lighting solution supports evening uses of the space while harkening to the twinkle of the city lights beyond. 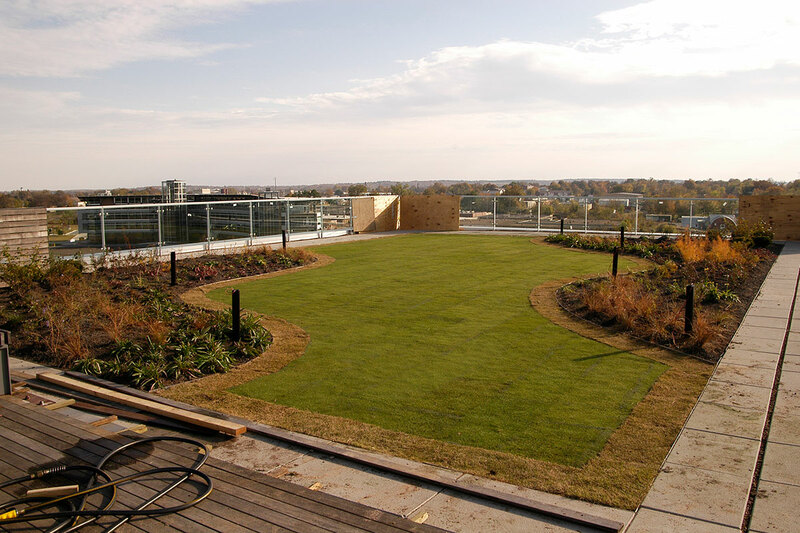 Along with the personal desire of former President Clinton to have a space for entertaining and for private recreation adjacent to the penthouse, the design solution supported efforts to secure an Existing Building LEED Platinum rating for the Center, and fulfilled the original architectural vision of a rooftop garden oasis to be enjoyed by the President, his family, and distinguished guests.